It is well known that Gregg’s beer history started with lagers and that he is partial to a quality lager when he has that option. He too, successfully developed the recipe of our flagship lager “Faceless Spreadsheet Ninja” and slices his way through the spreadsheets as he battles with the nuances of hop contracts in order to keep a Weird Beard lager alive. What isn’t well known is that Bryan does in fact enjoy lagers. A fan of Japanese culture, his exposure to black and dryer styles which are offered in Japanese restaurants had awakened his thirst for this type of beer. It was only a matter of time that his ideas of and his recipe for a Black Pilsner would creep its way into the brew schedule. That moment came a lot quicker, thanks to Des de Moor. Reading through Des’ latest publication of CAMRA Guide to London's Best Beer earlier this year, we came across Weird Beard’s section and Des’ accidental reference to our best-selling pilsner, calling it “Faithless” instead of “Faceless”. As soon as he heard this, Bryan decided to coin the name for the lager he had anticipated to brew for so long. And so the beer was borne. Thank you Des! Faithless Spreadsheet Ninja, like its brother Ninjas is a German Pilsner style. What makes it different is that its grain bill has a decent amount of carafa malt and a touch of roasted barley to give it those more robust and roasted flavours as well as it's black colour. Although Faithless is darker in taste and nature to our other pilsners, we've kept it light with adequate Munich and Pilsner malts. The chocolate finish is lifted by healthy additions of a mixture of hops. We’ve armed this Ninja with Summit and to keep it traditional, Hersbrucker in the kettle. Being inspired by Japanese dark lagers and because we love the hop, we’ve chucked in Sorachi Ace for coconut fruitiness to come to play as you savour this brew. At Weird Beard, we have some strict rules with what goes into cask; lagers and saisons being 2 big fat “no’s”. Because of the flavours and subtle richness of the dark pilsner, Faithless Spreadsheet Ninja has had us thinking and we’ve allowed ourselves to package it in cask as well as in keg. With a limited 2 firkins in existence, we’re launching one of these casks of Faithless alongside a keg of it. 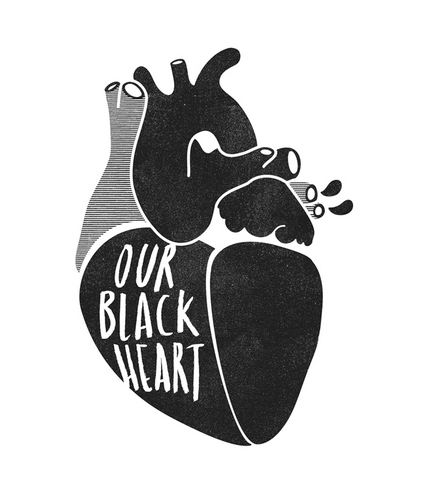 Our Black Pilsner will be first had at the Black Heart pub on Wednesday 9th December. Come along, try the beer and Meet the Brewer Bryan from 7pm.